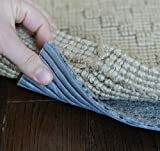 Firm Hold Non Slip rug pads protect your area rugs from everyday wear and tear. Firm Hold will keep your rug in place. It will also protect your hard floor surfaces. Firm Hold can be easily cut to fit under any size area rug. 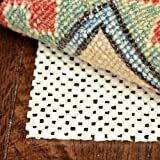 3′ x 5′ Premium Slide StopTM Non Slip Rug Pad for Hard Floors – Made in USA, not China! Comments Off on 3′ x 5′ Premium Slide StopTM Non Slip Rug Pad for Hard Floors – Made in USA, not China!